Since I’m spending a large chunk of my work day in a drab basement room (with no cell reception) pumping, I decided I needed an easy book to read to help pass the time down there. Where better to look than the top of the bestseller list for tweens? 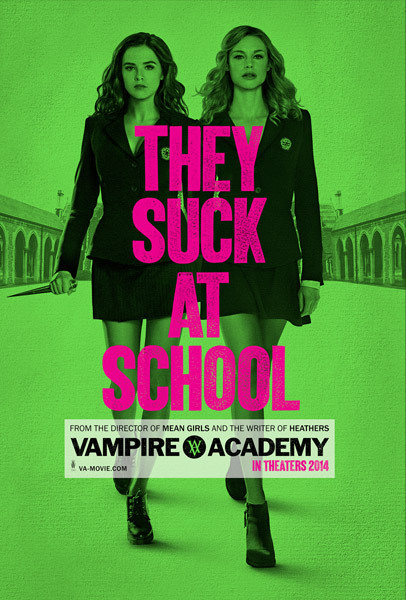 Enter: Vampire Academy. Set to be a movie here soon, it’s the first of a six-book series. I’ll be honest, I’m not sure I’ll actually read all six, but the first one is entertaining enough and it’s one of those books I don’t mind putting down and picking up – it keeps my attention and interest for the short spurts I need it to. Luckily, the movie appears to take a light-hearted approach because I really wasn’t going to be able to stand it if they took it all very seriously (a la the Twilight drama disasters). Have you read it? Any recommendations for what I should read next?